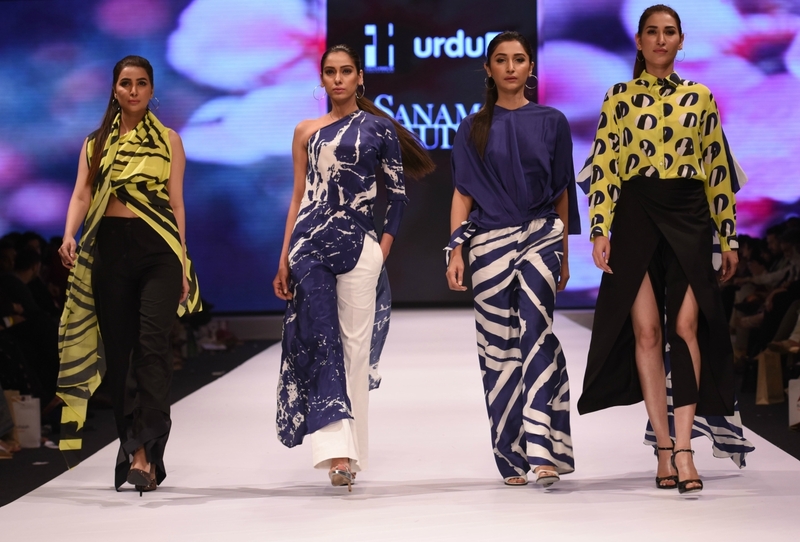 Top fashion designers Maheen Khan, Deepak Perwani, Wardha Saleem, Obaid Shaikh, Sanam Chaudhri and others are showing their latest creations at the ongoing Pakistan Fashion Week in Karachi, Pakistan. It's being sponsored by Trade Development Authority of Pakistan. In addition to domestic and foreign media, there are also several international buyers from overseas chain stores attending the show. Photos Couresy of Tapu Jhaveri, others. Very Nice. Hope they can wear this on the streets. sundar: "Very Nice. Hope they can wear this on the streets." Some do in major urban centers like Karachi. 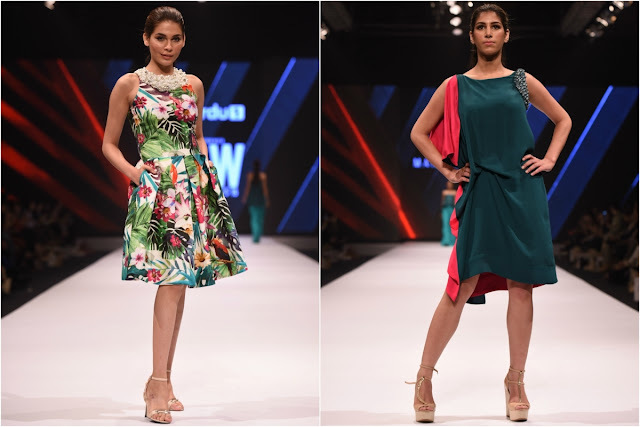 Most dresses worn on western fashion show runways are not worn on the streets of Europe and America. 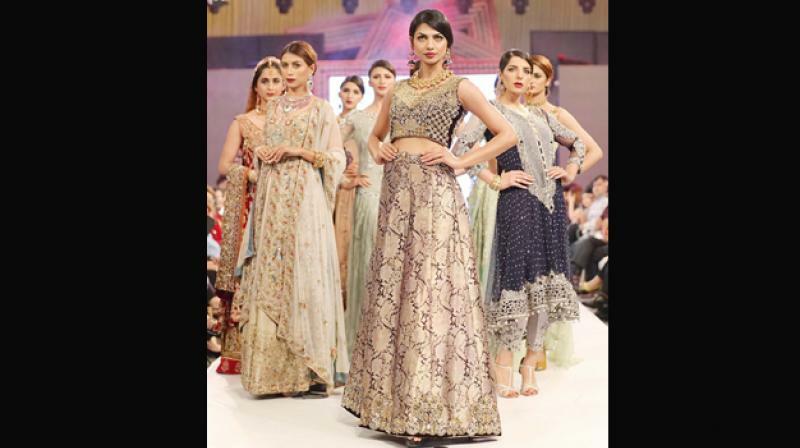 These shows in Pakistan, like elsewhere in the world, are primarily for international marketing purposes. Prasad Bidapa, who was in Pakistan for a fashion show, loved the trends and styles sported by the gorgeous Pakistanis. 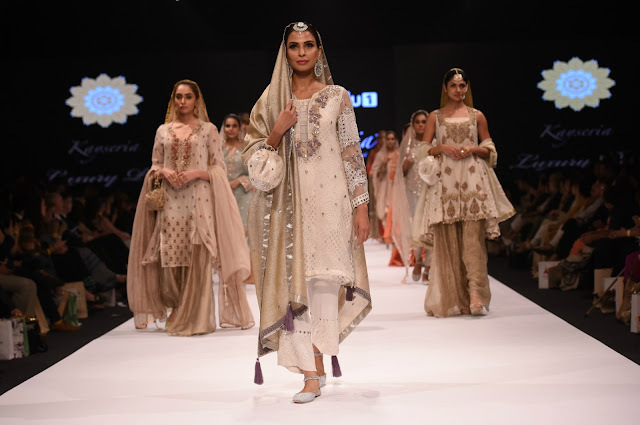 We have long known that the quality and finesse of Pakistani embroidery can outshine their Indian counterparts, especially in the bridal segment. 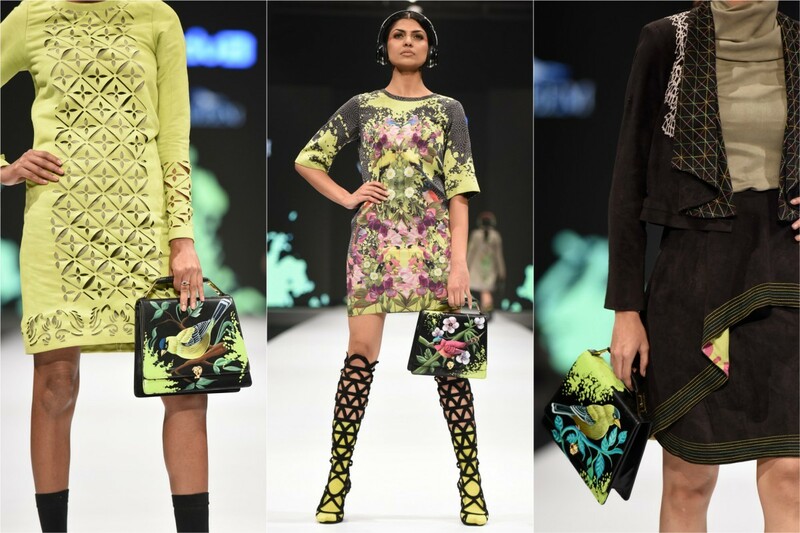 Their colour palettes are muted and the designers balance tradition with modernity across their lovely collections. The models are truly gorgeous and some of them are truly one of the greatest beauties I have ever seen. Getting to work with leading Pakistani designers at Huma Nassr’s Shaan-e-Pakistan was a fascinating experience. 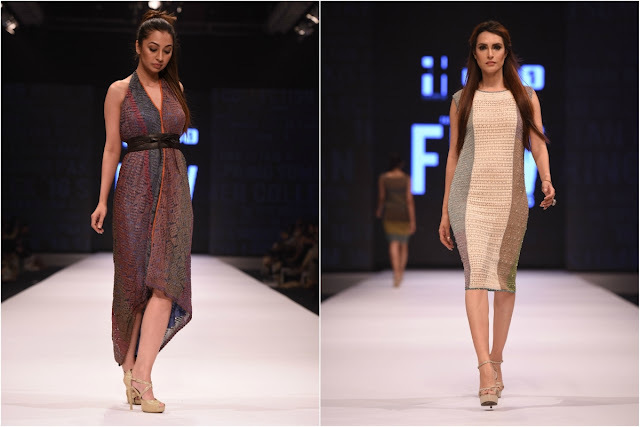 The trends that I witnessed with the designers were an eclectic blend of couture and also concentration on pret versions of ethnic styles. Riaz, how dare you show a different picture of Pakistan. You have no feeling for the sentiments of 1.2 billion people who are fed fro last 70 years that Pakistan is a backward country, what next you will tell them that Pakistanis have a higher standard of living? Have mercy on the bankrupt "India is a nation" ideology. "How can you wear such a short dress and roam with two males at such a time? In Pune, this is not allowed." This is what a 22-year-old woman was told by a gang of men, even as morning was breaking. They dragged her out of the car, attacked and threatened her. The woman was put through further distress when she turned to the police, who finally agreed to register an FIR a whole week after the incident. The incident took place on May 1, as the woman was returning from the sangeet rehearsal for her friend's wedding. Speaking to mid-day, the woman said, "At 5.30 am, while we were passing by the Lullanagar main signal, one car started driving parallel to our car. The window glasses were tinted, but a man rolled down the glass and peeped into our car." The man then started hurling abuses at her and her friends. The gang of men in the car followed her all the way home, and intercepted her car there. One of her male friends tried to intervene, but was hit by the accused. That was when the other men dragged her out of the car and hit her. The victim said she feared she could have been raped if her friends had not intervened. "I dialled 100, but no one answered. The cops arrived an hour later and filed an NC (non cognisable) complaint. After I got to know what an NC is, I visited the Kondhwa police station so many times. 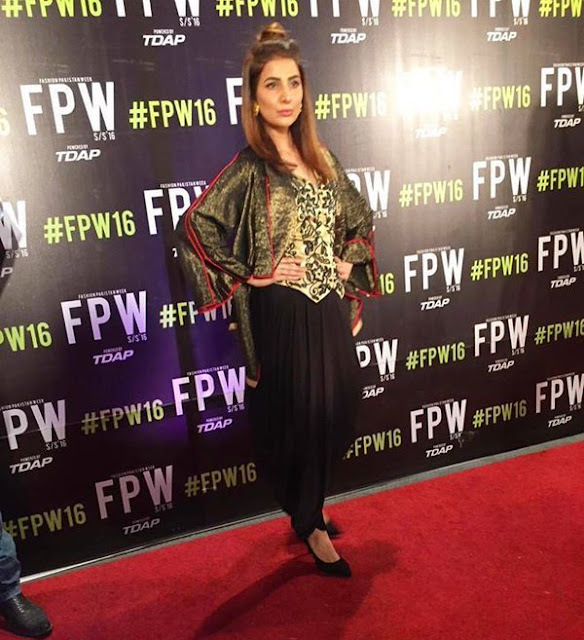 I finally managed to file a proper case on Sunday," said the traumatised victim. Dozens of Pakistani designers have been showcasing their latest trends in a Pakistan Fashion Week event in London. 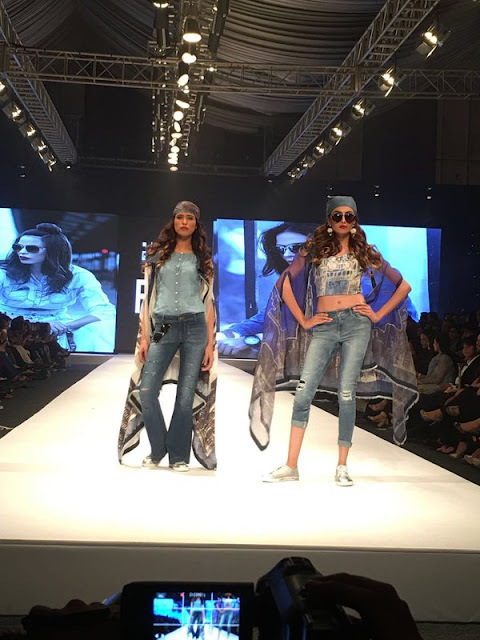 Hundreds attended the two day event, spending thousands of pounds on the latest trends ahead of the Muslim festival of Eid next month. 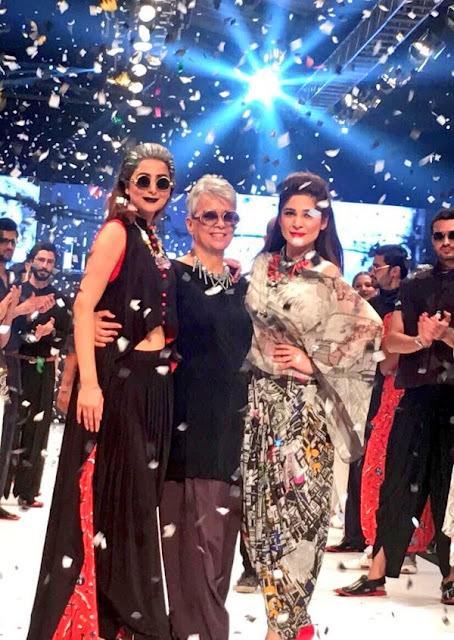 Nadia Hussain, seen as Pakistan's first supermodel, says it is more acceptable to enter into a career in modelling than when she first started 20 years ago. 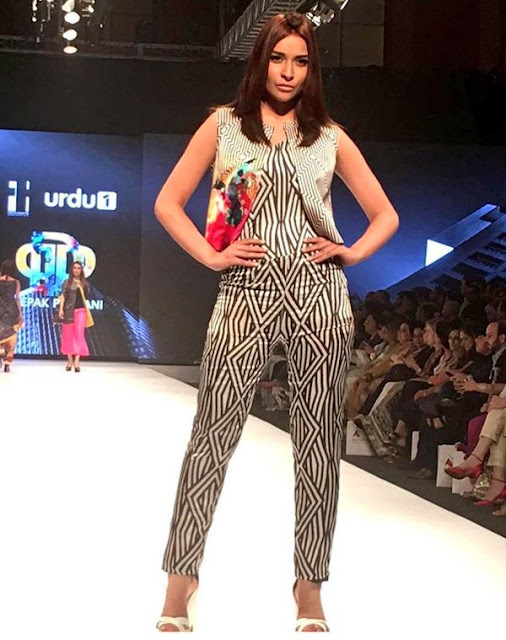 She says the industry is thriving as attitudes in the country change. At 37 and with four children and a flourishing business, the model who is also a trained dentist and still appears at fashion shows. In 2002, Mai was sentenced by a local council of tribal elders to be gang raped and publicly humiliated as punishment for her brother’s perceived insult to a rival family. The Associated Press does not identify victims of sexual assault unless they choose to identify themselves. Rather than commit suicide, as many Pakistani women in her position have done, Mai went public and fought all the way to the country’s Supreme Court to have her attackers jailed. Fourteen men - the alleged rapists and the tribal council members - were put on trial, and six were handed the death sentence. But all of them were eventually released on appeal. Nevertheless, Mai went on to become an international advocate for women’s rights and founded a charity that sponsors a women’s shelter and a girl’s school in her rural hometown of Meerwala. 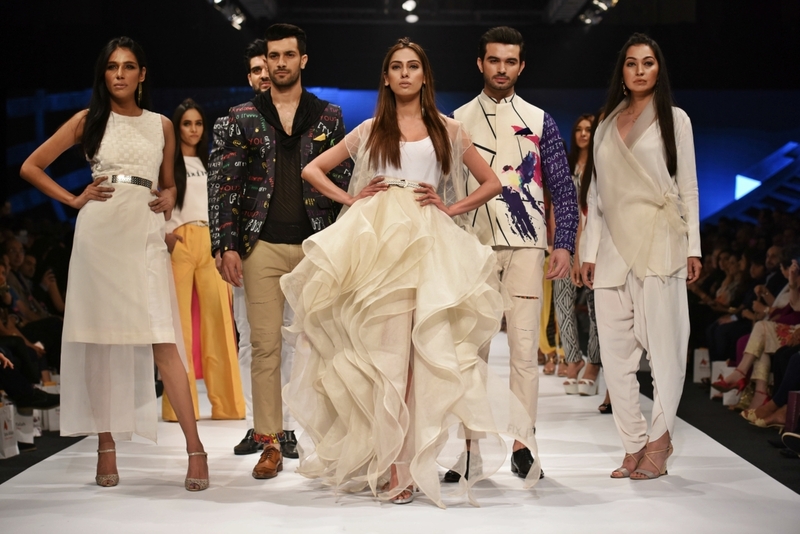 On Tuesday night, surrounded by Pakistan’s top models and wealthy designers, Mai appeared slightly shy and nervous when faced with the blitz of cameras. Mai, now 44, wore a light green embroidered bridal shirt and silver, silk pajama pants, designed by Rozina Munib, with a scarf covering her hair. 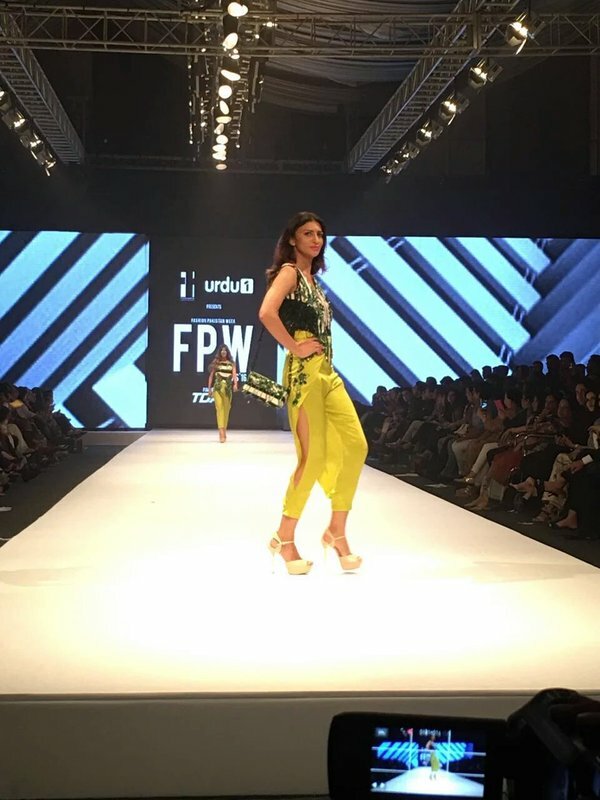 Mai smiled as she walked the runway along with several other models in the concluding event of the three-day Fashion Pakistan Week event. Afterward she moved around freely through the crowds, chatting with well-wishers and allowing a steady stream of admirers to take selfies with her. The annual fashion showcase was started in 2009 in defiance to religious fundamentalists in Pakistan who sought to enforce strict dress codes and behavioral restrictions on Pakistani women.